The Kamiq subcompact SUV won’t be Skoda’s only world debut at this year’s Geneva Motor Show. 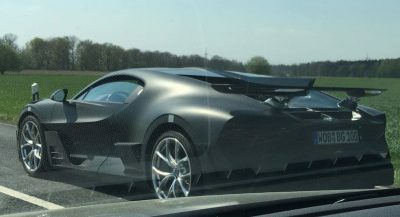 The automaker has just released the first design sketches of a new concept car called Vision iV, which is an all-electric “coupe with dynamic lines” that uses VW Group’s MEB platform. 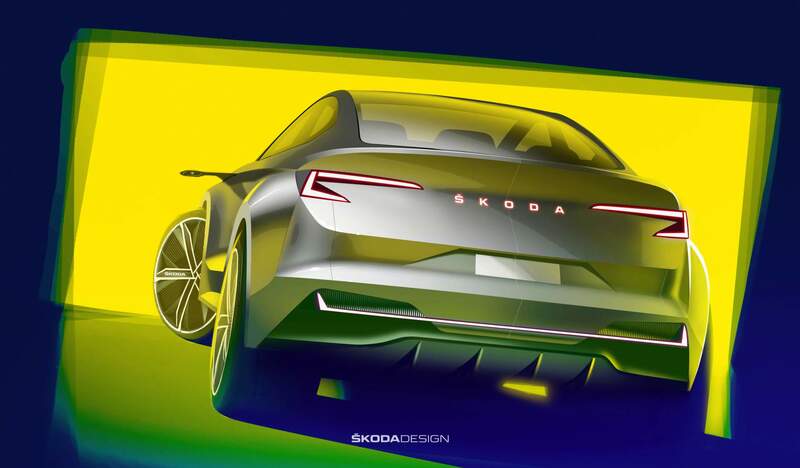 Building on the Vision E study, the first Skoda vehicle based on VW’s modular electric platform is a four-door crossover coupe that features “fascinating sporty and emotional lines,” according to the press release. It features athletic proportions, 22-inch aero wheels housed by flared wheel arches, as well as a sloping roofline. Highlights also include typical concept features such as the rearview cameras and doors without handles and window frames. At the front, the Vision iV sports a wider than usual Skoda grille with vertical ribs, crystalline structures, and a horizontal light strip in the upper part that connects with the sleek headlights. It definitely looks menacing from the front, thanks in part to the large air intakes. At the back, the concept vehicle boasts C-shaped crystalline LED taillights, aerodynamic spoiler edges, as well as a light strip above the rear diffuser. Finally, another distinctive design detail is the Skoda logo illuminated in red. 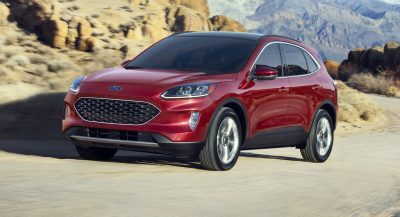 Obviously, the question on everyone’s lips is whether this concept previews a production model. 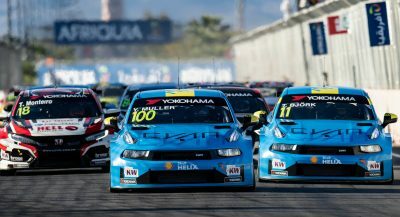 Skoda doesn’t say it explicitly but it does mention in the same release that it would present “more than ten electrified models by the end of 2022” following investments of €2 billion ($2.25 billion) in alternative propulsion and new mobility services. 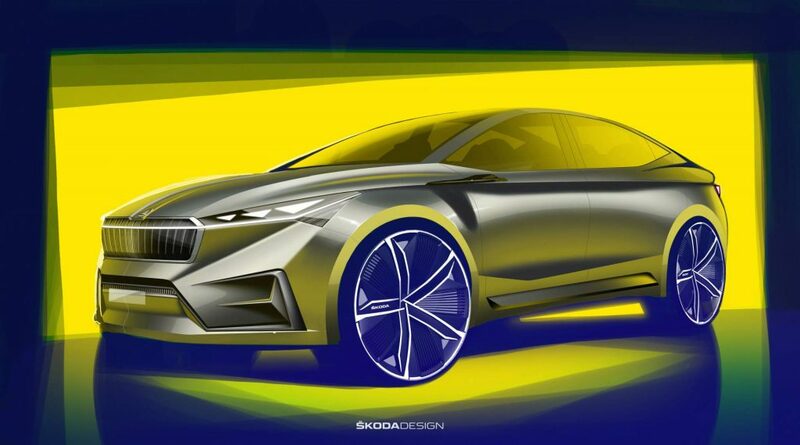 Skoda also says its first MEB-based production EV will arrive in 2020. While we may not see the Vision iV in production as is, Skoda design boss Oliver Stefani says the design features of the concept car will be typical for future Skoda EVs.